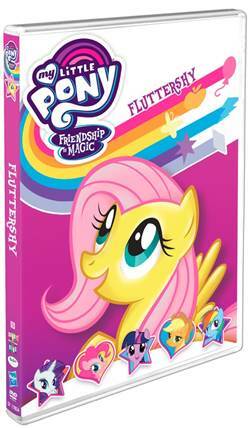 My Little Pony – Friendship Is Magic: Fluttershy is coming to DVD on September 12 in the U.S. and Canada from Shout! Kids in collaboration with Hasbro Studios. About Hasbro: Hasbro (NASDAQ: HAS) is a global company committed to Creating the World’s Best Play Experiences by leveraging its beloved brands, including LITTLEST PET SHOP, MAGIC: THE GATHERING, MONOPOLY, MY LITTLE PONY, NERF, PLAY-DOH and TRANSFORMERS, and premier partner brands. From toys and games, television programming, motion pictures, digital gaming and consumer product licensing, Hasbro fulfills the fundamental need for play and connection with children and families around the world. The Company’s Hasbro Studios and its film label, Allspark Pictures, create entertainment brand-driven storytelling across mediums, including television, film, digital and more. Through the company’s commitment to corporate social responsibility, including philanthropy, Hasbro is helping to build a safe and sustainable world and to positively impact the lives of millions of children and families. Learn more at www.hasbro.com, and follow us on Twitter (@Hasbro & @HasbroNews) and Instagram (@Hasbro). About Shout! Factory: Shout! Factory, LLC is a diversified multi-platform media company devoted to producing, uncovering, preserving and revitalizing the very best of pop culture. Founders Richard Foos, Bob Emmer and Garson Foos have spent their entire careers sharing their music, television and film favorites with discerning consumers the world over. Shout! Factory’s entertainment offerings serve up feature films, classic and contemporary TV series, animation, live music and comedy specials. In addition, Shout! Factory maintains a vast digital distribution network which delivers video and audio content to all the leading digital service providers in North America. Shout! Factory also owns and operates Shout! Factory Productions, Scream Factory, Timeless Media Group, Westchester Films, Biograph Records, and Video Time Machine. These riches are the result of a creative acquisition mandate that has established the company as a hotbed of cultural preservation and commercial reinvention. Shout! 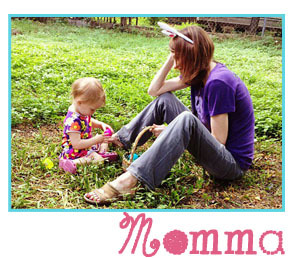 Factory is based in Santa Monica, California. For more on Shout! Factory, visit shoutfactory.com. ← Put Me In The Story & Sesame Street’s Messy Blog Tour!